We now have a deployment manager which you can access from your members dashboard area - direct link here (you need to be logged in to use). We highly recommend you use this for deploying on Vultr, as it is much easier and is kept up to date. The following tutorial is deprecated but the scripts remain functional. 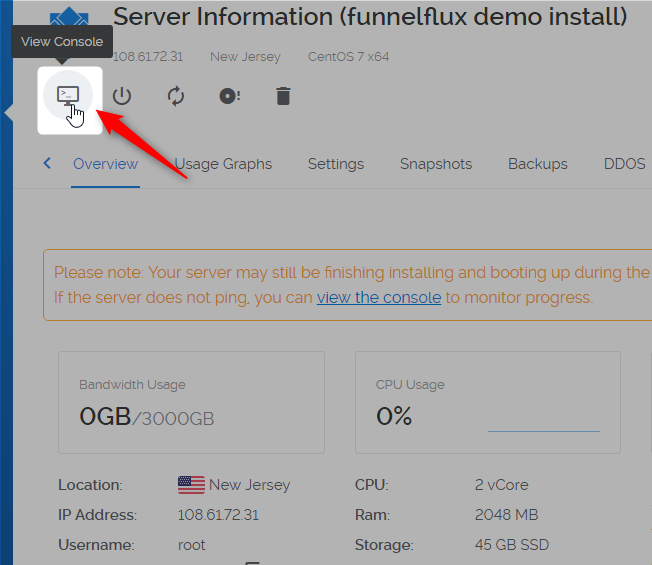 We highly recommend Vultr for hosting Funnel Flux as all the benchmarks show that they have the fastest servers at the lowest prices. The only problem is that it is 100% unmanaged, meaning that you have to install everything yourself (or use LaunchPal). However, with the scripts we have prepared for you and the step by step instructions below, the installation process is now extremely straightforward. 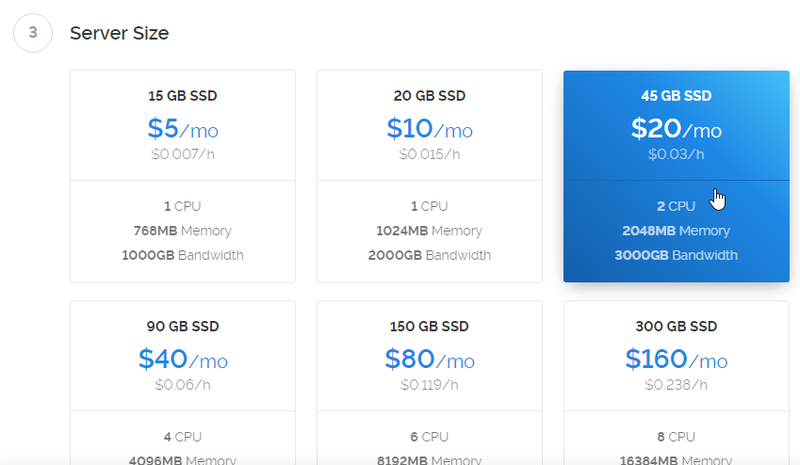 Before you start, be sure to check out https://www.vultr.com/coupons/ to see if there are any monthly promos to make Vultr even more awesome! Select a server size. We recommend a strict minimum of 2048MB of memory and 2 CPU (regardless of how low your traffic volume might be). For 100,000 visitors per day, you should select at least 4 CPU + 4GB (4096MB) of memory or more. For 200,000 to 1 million visitors per day, select a server between 8 to 16 cpu and a minimum of 16GB of memory. If you plan to send more than 1 million visitors per day through your FunnelFlux, then select a server with 24 CPU and 64GB of memory. After selecting a server size, enter a label for your server and click "Deploy Now"
While your server is being created, you will point your domain name to it. Note: we recommend using CloudFlare for DNS -- it is not wise to use DNS based on your specific server (i.e. using your server as the nameserver). You can see our Cloudflare tutorial here - best to look at this article for full DNS instructions, especially if you are not familiar with DNS configuration for domains. 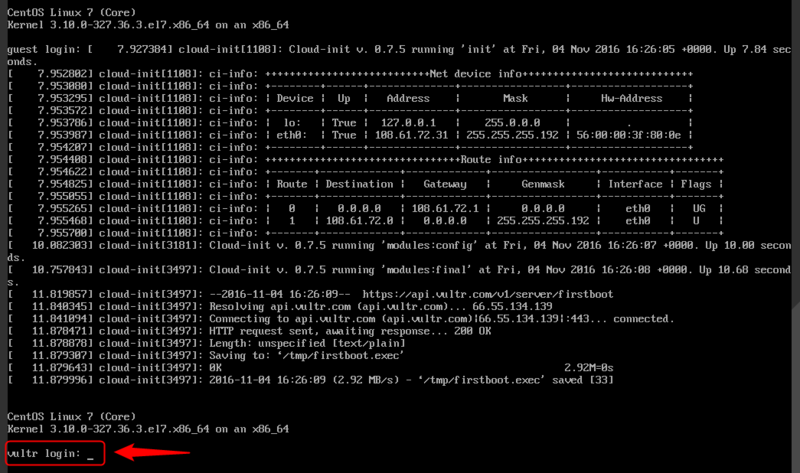 Go back to your servers list and click the manage link next to your server IP. You will see some information about your server and have access to several actions. At this stage we highly recommend you grab a local SSH client, e.g. Whatever software you use, create a new connection to your server IP, use SSH (version 2 if available), username root and copy/paste in the password provided on the Vultr dashboard for your server. You will then have the opportunity to login. Use the root username and password to login. Unfortunately this virtual console does not support copy/paste, so you will have to write it manually (hence why we would recommend using proper software). It's also slow to use. Note that in Linux terminals, password entry won't show keystrokes - so its normal to not see anything as you type. 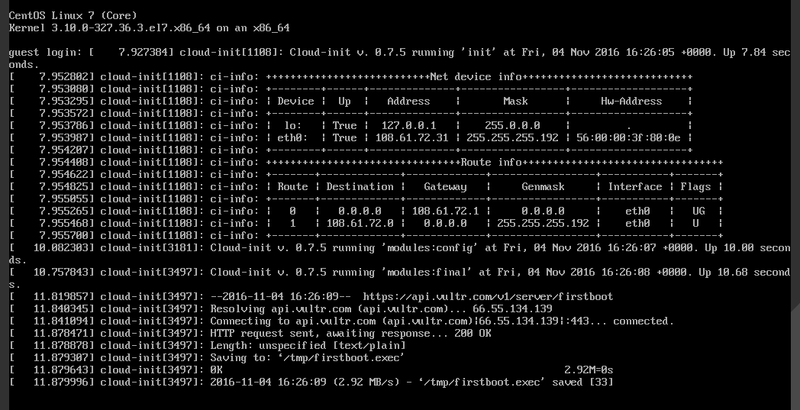 A few other commands will have to be typed, and these commands will be displayed in the shell window. Make sure you follow all of them. For example, once the above script installs, you will be asked to do the same but with ff2.sh, i.e. Note that you can press the up arrow key to cycle through previous commands, thus can easily go back to the ff1.sh command and edit it to ff2.sh (much easier!). You will later get asked to execute ff4.sh as well. Be sure to read the instructions as this is a cleanup script and you need to take some actions before running it. 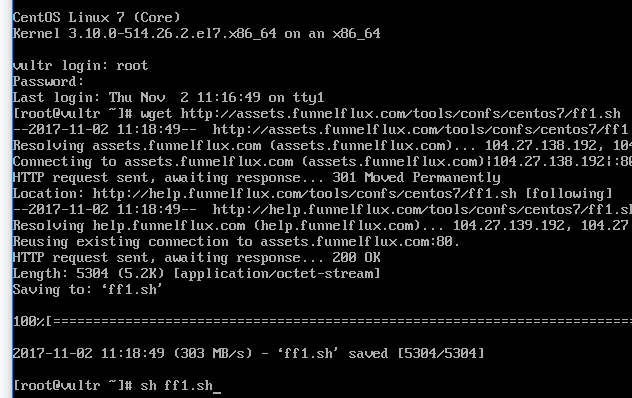 Overall, our scripts will optimize your server, download FunnelFlux and install it for you. Just follow the instructions displayed in the shell window until you reach the end!